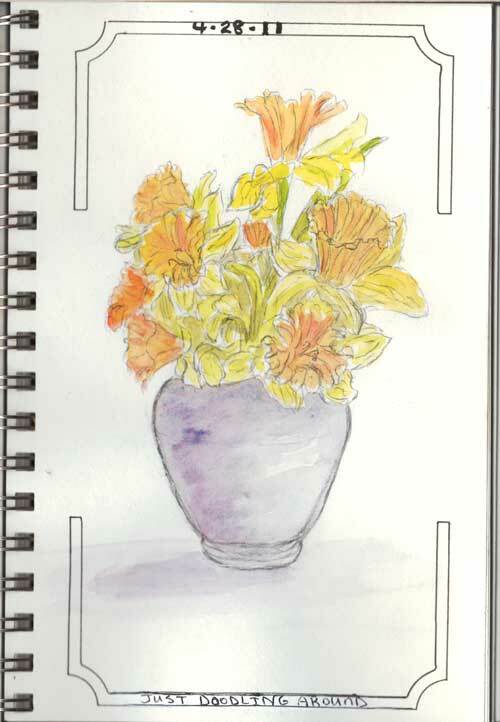 Waiting on the kiddos to mow the yard for Grams, I got in a quick sketch of her centerpiece. Your collection of sketches is a treasure. You are having a delightful time-it shows.